I love these kinds of summer mornings where the fog hangs about the landscape. First of all, it makes everything look so different. Secondly, it muffles the sound. Third, you can smell the earth, deeply. And lastly, I like to breathe in the water droplets of fog. It has a cleansing feeling. 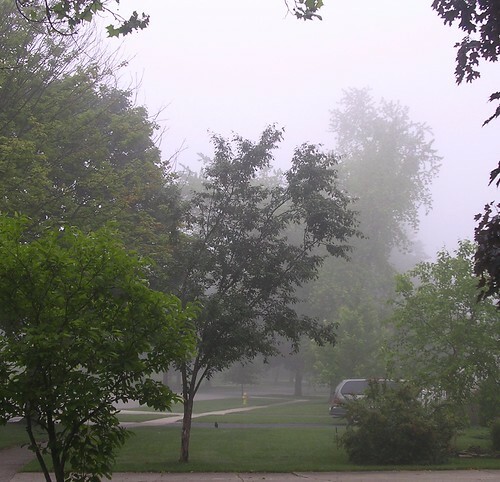 I like to go for walks in the fog or just sit on the deck with a cup of tea. I know people hate it because of the whole lack of visibility but I could enjoy a foggy morning once every couple weeks.